Today’s Friday flowers brings a little sanity to the craziness that has been my life these last few weeks. The master bathroom and closet are still under construction along with a few hidden surprises. 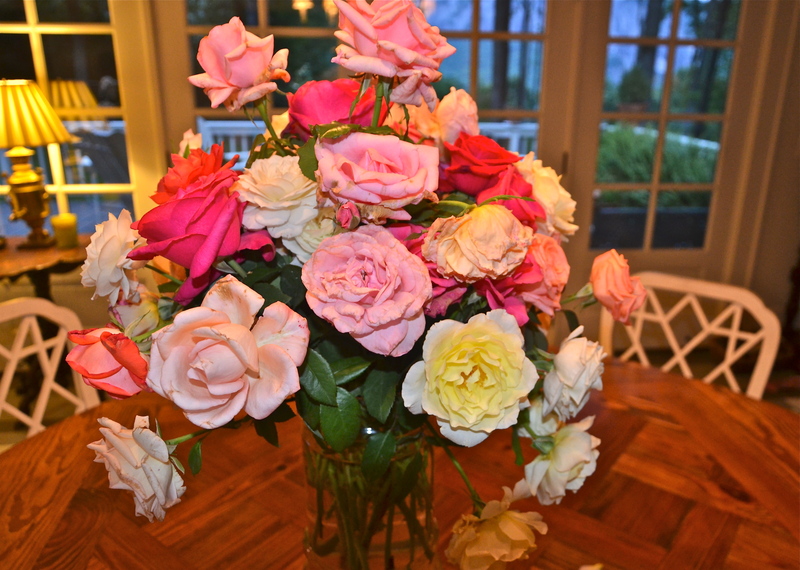 This lovely bouquet of roses was given to me by a visiting friend. The amazing thing is that they were all picked that morning from her own rose garden—how wonderful is that! Enjoy your weekend and check back next week for more renovation updates. So beautiful! What a nice surprise. A wonderful surprise! Loved them all.